The title of the latest episode of Breaking Bad, "End Times," is a bit of a misnomer. After all, this was the penultimate episode, so there is one more left. However, this episode was certainly setting up for what will presumably be some tremendous action in the season finale. It may have been an episode that was mostly about getting the pieces in place, but it was still really good, and had some huge, major moments of its own. Here are some more thoughts on "End Times." I said this episode was mostly setting up pieces, but it also featured Jesse holding a gun to Walt's head while Walt dares him to pull the trigger. While it seemed likely neither would die, it was still an intense moment. Walt spent the early part of the episode on edge, holed up in his house waiting for Gus to strike. Meanwhile, Jesse realizes that Andrea's child has been poisoned with ricin, and he suspects Walt. This is why we find Jesse pointing a gun at Walt. However, while backed in a corner, Walt posits that Jesse is there on behalf of Gus. 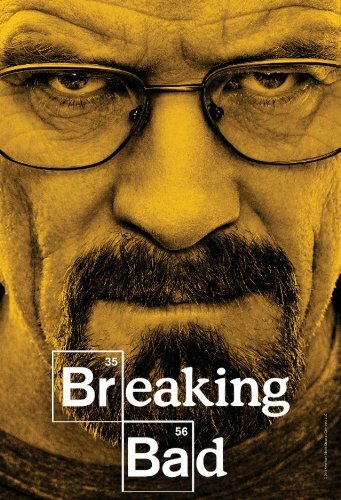 He presumes Gus has been playing a long con, and he's convinced Jesse to kill Walt for him. Jesse accepts this, and the two agree to team up to kill Gus and end his meth empire. It's not surprising to see Walt and Jesse teamed up again for the end of the season, but the way the show did it was really well handled. While I found the parameters of what brought them together a bit grim for my tastes, it made sense, and it certainly raises the stakes and solidifies Gus' position as a villian within the show. Of course, it is also possible that Gus didn't poison Tomas. It seems likely, but it is also nice that it is ambivalent right now. Anyway, Walt and Jesse usually fail when it comes to killing people, or at least it goes terribly. Will they finally have success against their greatest foe? Gus has seemed pretty much invulnerable all season, aside from flashbacks, and this episode took things to another level. Walt cooked up what appeared to be plastic explosive and placed it on Gus' car, but while Gus and his cronies were walking back to the car, with Walt waiting across the street with a detonator, he suddenly stops and begins surveying the scene. He didn't see Walt, or so it seemed, but nevertheless he turned around, and the last moment of the show saw Walt slumped over defeated. Maybe we'll find out why Gus turned around. Maybe he didn't just perceive something was wrong. However, right now, it seems like Gus' abilities were a bit much here. Unless things get explained, I consider this a minor knock on a strong episode. While Bryan Cranston wasn't in a ton of this episode, he got two great scenes nonetheless. While I already mentioned Walt and Jesse's scene, Walt's conversation with Skyler while he was convincing her to head over to Hank's under DEA protection while he stayed behind was also excellent. Hank Strikes OutHank is undeterred by the threat on his life, as he's convinced it just means he's getting closer to Gus. He manages to coerce Gomez into going down to the laundry to take a look around. Gomez does a nice job talking the manager into letting him, his partner, and a police dog go around the laundry, but they don't find a thing, even as Jesse and Tyrus sit quietly in the superlab. However, I don't think this will be the end of it. Will Hank figure something out in the finale? Saul Goodman was fleeing his office in this episode. I wonder if we will see him again this season. If not, then when? Could he disappear long term? I mean, if he truly gets out of town for a while, the way the show's time plays out we wouldn't see him again if he's gone more than a few months. I still think there is a good chance he doesn't make it out alive this season. One more episode left! What will happen in the season finale? I expect something huge to happen. It's been a great season so far. I look forward to the capper. "However, right now, it seems like Gus' abilities were a bit much here. Unless things get explained, I consider this a minor knock on a strong episode." – Gus realizes only in the hospital that Jesse knows it wasn't a case of sickness but of poisoning, and that Jesse may suspect Gus of poisoning the kid, because Jesse may see Walter as too good to do such a thing. – Gus knows Walt wants to kill Gus, because Gus wants to kill Walt. – Gus knows Jesse wants to kill Gus, because Jesse had ricin in his pack of cigs. – Gus realizes Jesse made Gus come to him: Jesse earlier said to Tyrus, if Gus needs him, he should talk to him in person. – When Gus returned, his was the only car left on the entire garage floor, while there were many cars on the rest of the floors. The episode doesn't show whether someone (Walt) had anything to do with that fact or if it was an (un)lucky accident. In any case, the floor looked ripe for an assassination with no extra casualties. Even the cinematogrpahy goes to help the viewer "feel" it. – Gus is a hard-boiled criminal with decades of experience. In such people, what seems like a preternatural intuition is actually a developed power to see details and process those details through a very complex algorithm of experience. – Gus has always been shown to be an extremely cautious criminal. – Gus knows that in the past, Walt has put subversion devices under Gus's car, and may have been getting more such ideas. In short, you're underestimating the series's creator's resolve to not underestimate their viewers. Gus parked on the 5th level of the parking garage, purposefully a level or so higher than he needed to--probably a generally-held cautionary habit in order to provide less coverage if one were to attempt to ambush him. Based the long shots from Walt's rooftop perch, there was no noticable difference between the surroundings of Gus' car between when he parked and when he was walking back towards it. In general: I felt that the thought process of Gus in that situation could have been a bit less obfuscated. It was certainly reasonable for him to suspect something (Jesse's mentioning of poisoning in the hospital being the key point in my mind; it seems like Gus did not suspect anything going into the hospital, seeing as how he was open to going there in the first place, as well as because he left his car unguarded), but I certainly hope the upcoming episode contains some further explanation.